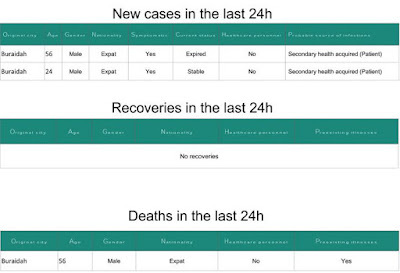 The Saudi MOH is reporting two more nosocomial MERS Cases (1 fatal) in Buraidah, where we've been following an outbreak at the King Fahad Specialist Hospital for about a week. 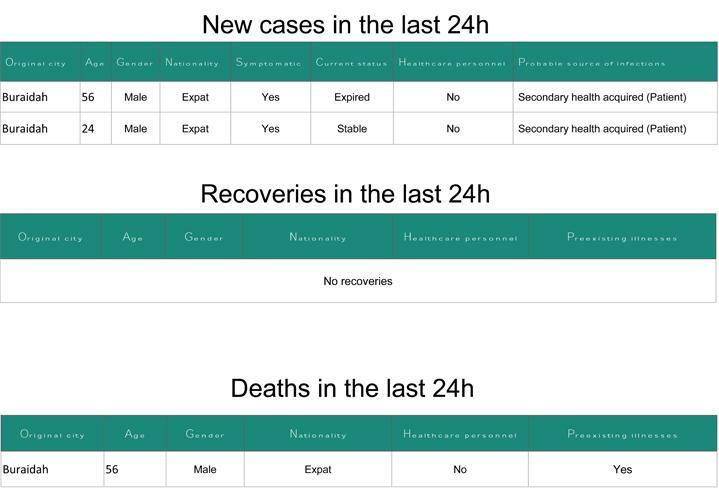 Todays two cases raise to 13 the number of recent cases in Al-Qassim's capital city, most of which appear to be hospital acquired, but at least three patients are listed as `Primary' cases from the community. 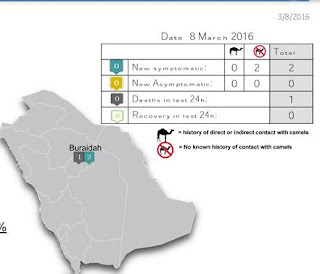 While we've no specifics from the MOH, at least one Arabic language media report suggests the outbreak began when a renal dialysis patient - without respiratory symptoms - was treated at the hospital. 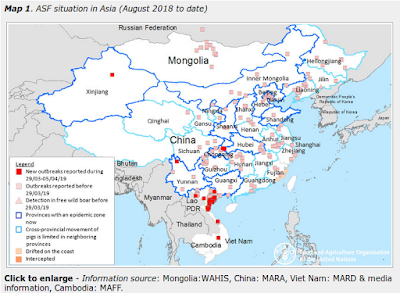 While sporadic community cases of MERS continue to surface - and sometimes produce household clusters - hospitals and clinics have historically been the major amplifiers of MERS cases, often producing scores of infections before being brought under control.